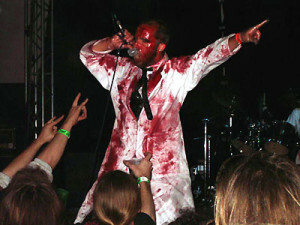 Due to the band completely taking leave of their senses, they have decided (for some godforsaken reason no one really knows) to temporarily recruit their old so-called vocalist “Doctor” McWilliams. This, despite the fact that he is… well, himself. He’ll be joining the otherwise sane line up for some old-type singalongs on the Close Up old farts of death metal boat later this autumn, and trying his best not to completely ruin what would otherwise be a rather enjoyable set of gore-soaked ditties. We apologize in advance for everything pertaining to this rather unfortunate decision to once again briefly include him in our ranks.